We look at some of the most beautiful hotel lobbies across the USA, which are giving world-renowned museums and art galleries a run for their money when it comes to spectacular design. First impressions are everything – especially when it comes to arriving at a hotel. Two things are most likely to create a first impression on a hotel guest; the exterior façade, and the hotel lobby. Making a statement with impressive entryways, sweeping staircase, polished floors and comfortable seating, lobbies are one of the most important public spaces within a hotel. 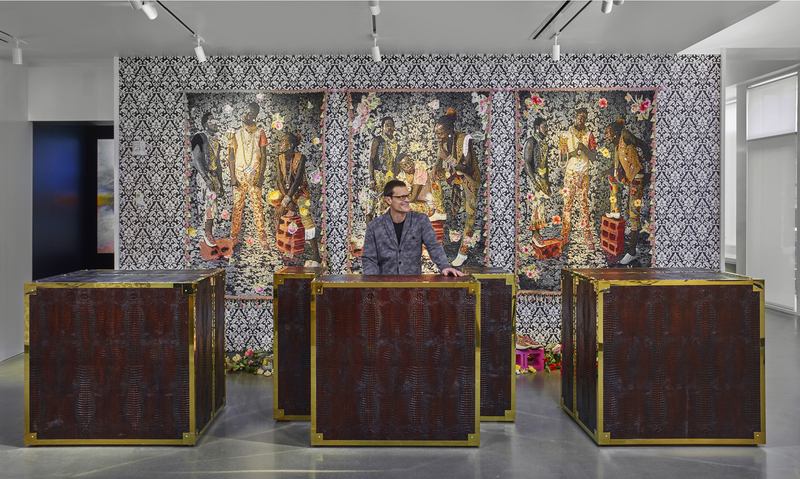 The 21c Museum Hotel Lexington is an 88-room boutique hotel in the heart of the city – but more than this, it also acts as a contemporary art museum and cultural centre. Featuring solo and group exhibitions that reflect the global nature of contemporary culture, artwork can be found throughout the hotel, including site-specific works by some of the contemporary art work’s most exciting artists. A very special piece of art work lies within the lobby of the 21c Museum Hotel, which is why this hotel has featured on our list. 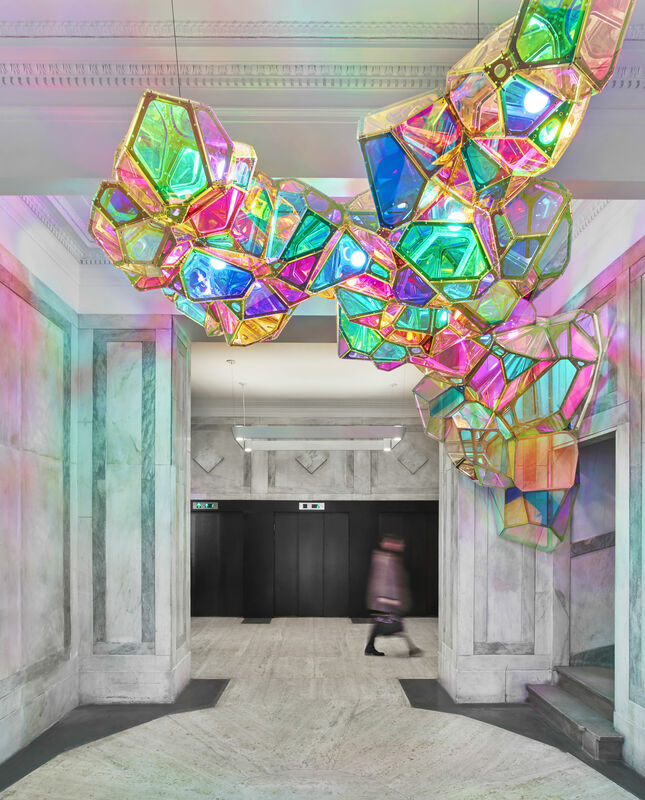 Called Spectralline, the large, immersive installation features an expanse of acrylic glass, aluminium and LED lights, creating reflections of colourful crystals in the hotel’s entrance. The glass also changes colours as guests move underneath it, thanks to a dichornic film, making this lobby truly unique. 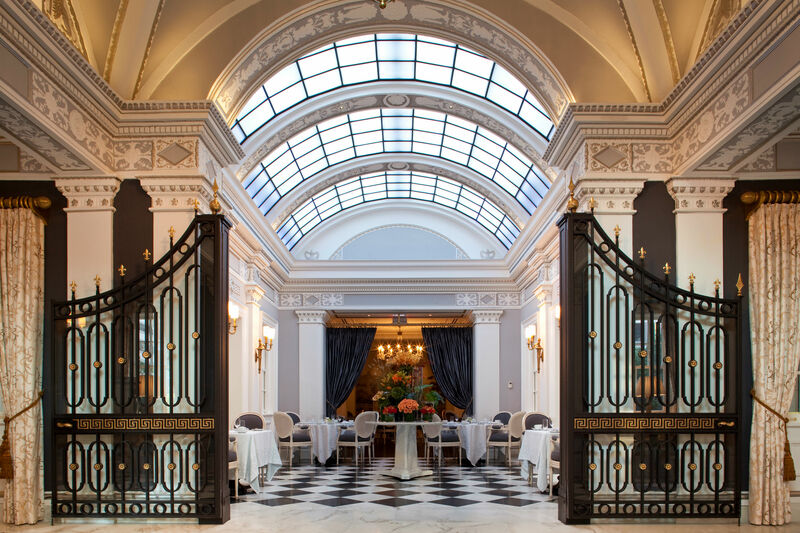 This award-winning luxury hotel in Washington aims to give guests an immersive experience, through everything from the design to the staff hospitality. 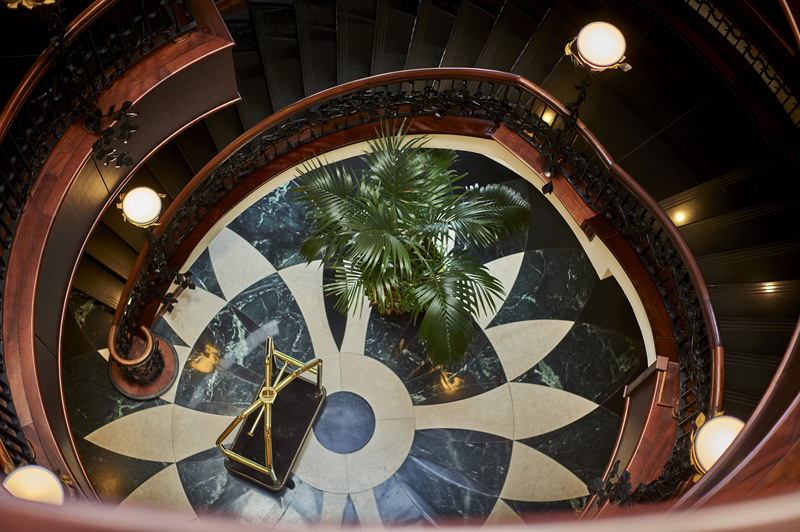 Since its opening in 1923, the Jefferson aims to combine modern day amenities with its historical influences – which feature heavily in the hotel’s lobby. 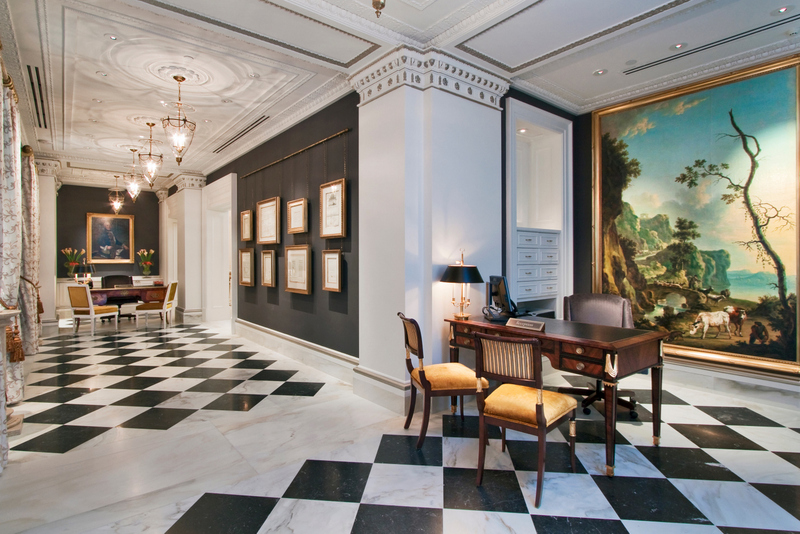 Guests passing from The Jefferson’s Beaux Arts façade into the lobby will come face to face with history; the space’s Washingtonian-European interiors pay homage to Thomas Jefferson and his Monticello estate, instantly welcoming guests with a sense of sophistication. Black and white marble floors compliment the charcoal walls, gilded chain glass lanterns and grand oil paintings dot the space, and a 1923 skylight hovers over popular brunch spot The Greenhouse, acting as a centerpiece. Located in Charleston’s famed Historic District, the French Quarter Inn is an intimate boutique hotel that is full of Southern charm – and is regularly ranked among the city’s most luxurious retreats. 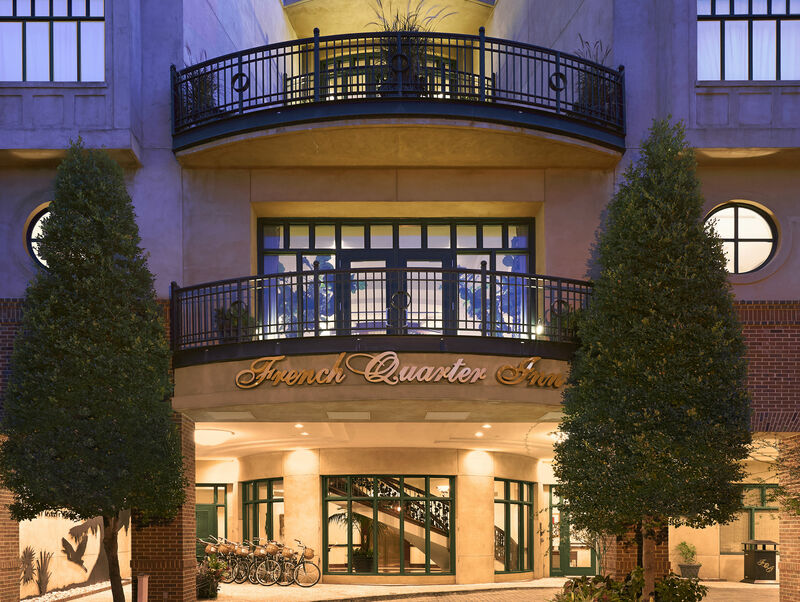 The elegant exterior leads through to an even more impressive lobby, which is the reason the French Quarter Inn has been chosen for our list. Featuring a polished black-and-white marble floor, gold accents and rich oak, the centerpiece of the lobby is a grand spiral staircase that leads up to the rest of the hotel. Immediately catching the eye of any guest, this staircase embodies the essence of Charleston’s historic district with its old-world charm and European flare. Details of rich mahogany, granite and hand-crafted iron work ultimately lead to a domed spotlight at the ceiling allowing natural light to pour through.